The Doris Day Show aired from 1968-1973 on CBS. The early years plot revolved around recently widowed Doris Martin and her two boys leaving the city for the tranquility of her father's ranch. Later Doris and her boys moved back to the city (San Francisco) where she worked as a secretary for Today's World eventually working her way into a journalist position. Doris and the boys lived above Palucci's restaurant where all sorts of mayhem ensued. In the latter years the family and Palucci's disappeared. 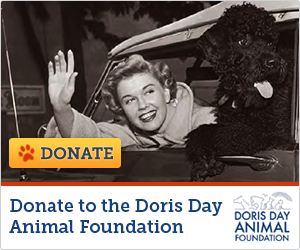 Doris was now a single career woman making it on her own. Doris Martin recently widowed is living at her family's ranch with her two boys. "Let Them Out of the Nest"
The boys treat Doris to a birthday dinner at a roadhouse restaurant. However, the boys don't have quite enough money nor does Doris. Billy makes the baseball team as starting pitcher with a brand new uniform. Toby is feeling a little left out so he tries out for the school choir so he can have a uniform too. However, Toby is not chosen but lies to his Mom about it to save face. A local dairy picks the Martins to portray the perfect American family in its ad campaign. However, to complete the family, sisters (the boy's friends) are added. This results in a not so perfect family the advertisers had in mind. Grandpa fills in at the father/son picnic for the boys but is woefully inept at the activities causing the boys to finish last in the events. The boys decide to find their Mom a man who can fill in and help them win the events for the next year. However, their choice who is the deputy sheriff is not quite the man Mom hand in mind. Leroy thinks he can make it big as a country song writer despite his terrible lyrics. Doris suspects fraud when Leroy has to sell his songs to a record company rather than receiving compensation. Two unethical antique dealers convince the boys without Doris's knowledge to sell an old table that the boys don't know is quite valuable. Doris must come up with a way to get it back. Leroy is hiding in the barn with the help of the boys since he has no place to go. They try to convince their grandfather to keep him on. However, things in the house start to disappear. Billy is getting beat up by a bully at school and won't tell who he is. He doesn't fight back despite his grandfather wanting him to and Doris wanting him to abstain from violence. Leroy has a crush on the librarian and becomes a bookworm to win her. The family plans a camping trip but the fighting between Grandpa and Joe Whitecloud threaten to ruin it. Doris temporarily tries her hand at her old job and her boss is determined to make it permanent. Buck courts a widow but he is in competition with another suitor, his friend for years, the vet. Leroy's cousins pay a visit but they make Leroy look like a rocket scientist compared to them. A poacher is on the loose. However, all the men are sick. It's up to Doris to catch him. The boys pick up an egg route. Doris gets involved to help out but ends up doing most of the work. Leroy gives Doris an antique clock that is extremely loud. Since it's a gift she doesn't have the heart to get rid of it. A visiting marine (Mary Wickes) transforms the Martin house into strict military conformity making everyone miserable. A conceited, ladies man pilot bets his buddies that he can score a date with Doris. Leroy has to take Doc's place in a horseshoe tournament but his arm freezes up when the pressure is on. Buck is on the verge of bankruptcy. Several farmers owe him money but he is too nice to collect it. So Doris steps in to get the money. Doris heads a drive for civic improvements and falls for a scheme to build a community center. Doris is directing the school's musical. However, the principal is upset because of the way the kids dance today. To appease him Doris changes the dance to include the Charleston just like when he was younger. Doris volunteers to take care of three kids while their mother is in the hospital giving birth to the fourth. Jodie Foster is one of the kids. Doris winds up in jail trying to rescue the McGlinsey sisters who have started up their still again with Treasury agents in pursuit. Doris and the boys try to decide on a practical gift for Leroy. They need to find out without letting him know what they are up to. Doris helps Leroy catch an escaped tiger. Doris and Buck meddle in the romance between Juanita and a local merchant. A neighbor accuses Billy of taking five dollars from her wallet.